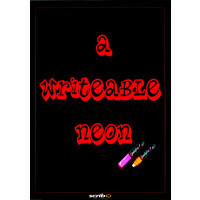 Often, in order to make your business or company succeed, you need tools that make your product or service stand out. 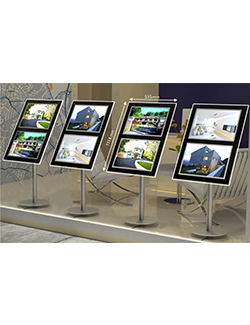 While they may seem like heavy investments at the time, illuminated displays are the future of displays, and they will serve you best in the long run. By using our illuminated displays, you will create the right visual impact for all your exhibitions, events, retail, promotions and much more. 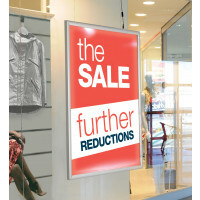 The versatility and ease of use of our illuminated displays make them ideal for any situation and environment. 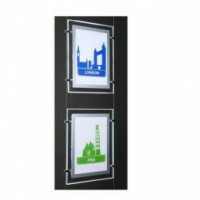 They are of the highest quality and are extremely simple to set up and use. In order to make sure that you have the best effect that can be expected from professional illuminated displays, all of these products are lit with the best high-power LEDs available for an affordable price range. The LED units come completely assembled, and putting up the stand is the only thing you need to do before attracting loads of potential customers. The durability and portability of our illuminated displays make them ideal for all occasions, eradicating any last minute problems or delays. Thus, if you need to purchase tools to illuminate your walls, freestanding light boxes, ceiling suspensions, illuminated hanging structures, light columns, podiums or any other illuminated display, you have come to the right place. 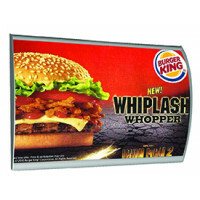 So check out our vast collection of illuminated displays, and help your company succeed. © 2016 Scribo Display. All Rights Reserved.